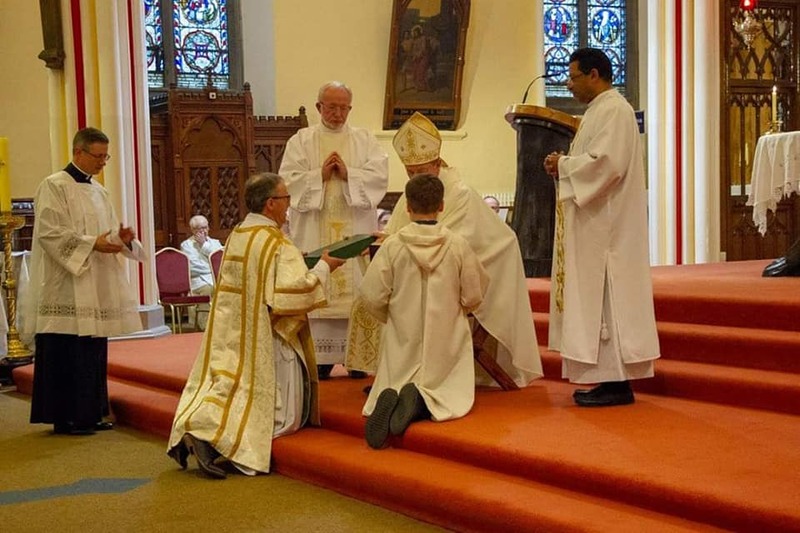 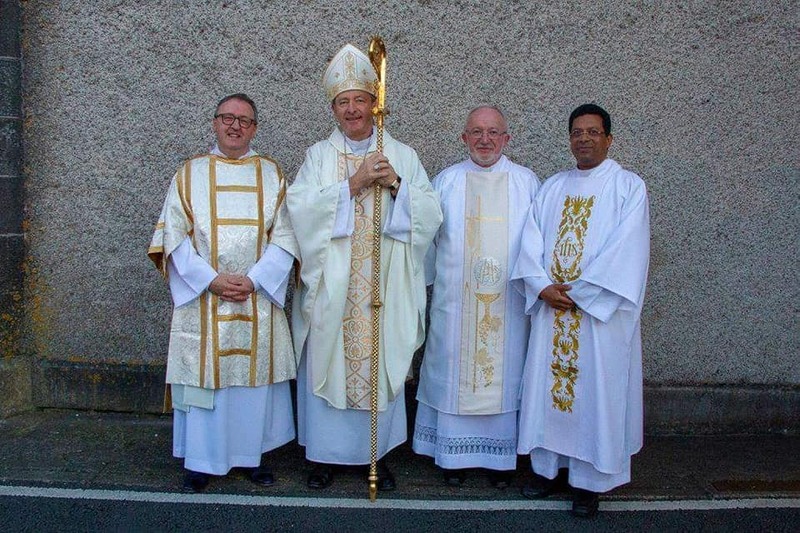 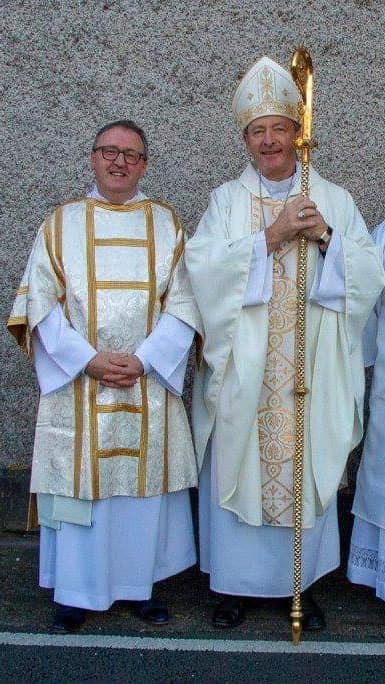 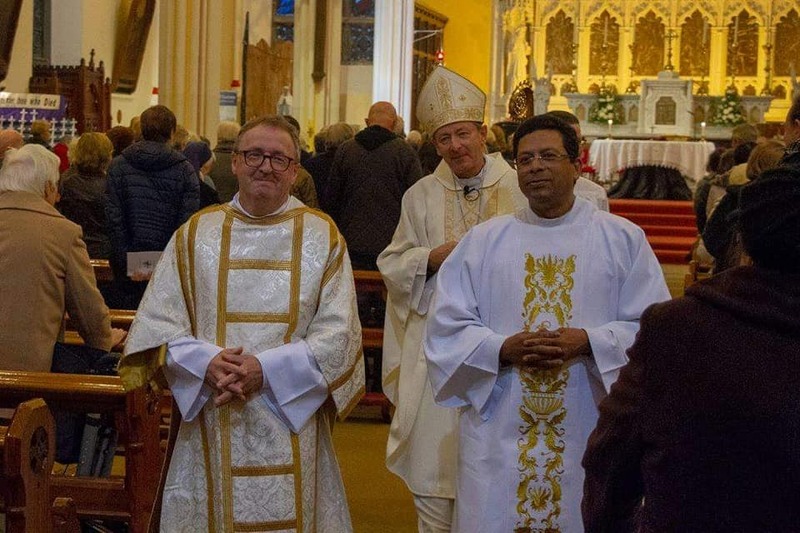 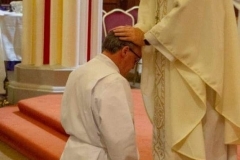 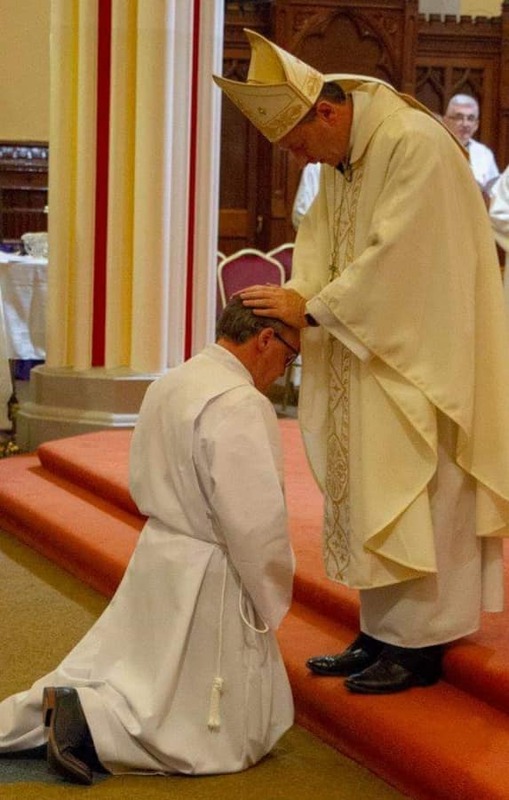 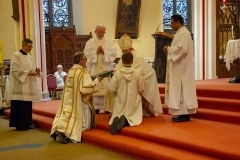 On Sunday, November 25th, on the Feast of Christ the King, Hugh Nugent was ordained to the Permanent Diaconate by Bishop Alphonsus Cullinan. 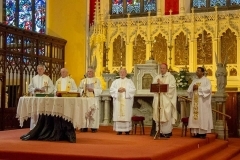 The Ordination book place in St. Mary’s Parish Church, Dungarvan. 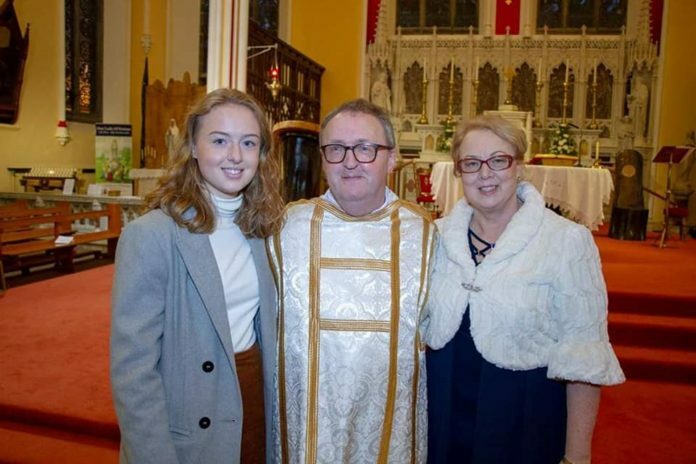 There was a large crowd present, made up of Hugh’s family and friends, and the wider parish community. 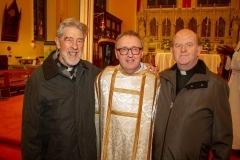 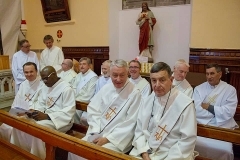 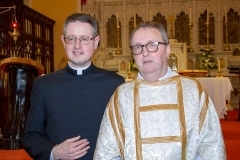 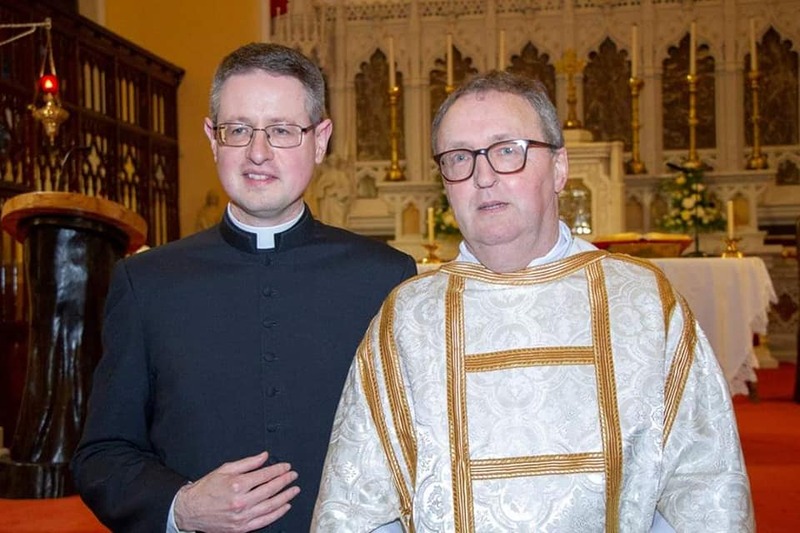 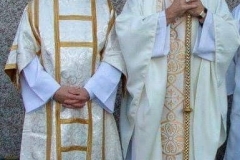 Also in attendance were many other Permanent Deacons from the Munster region who journeyed with Hugh on their diaconate experience. 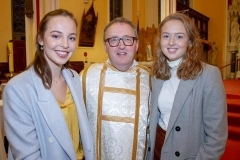 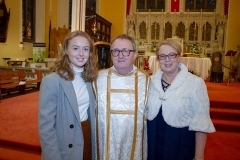 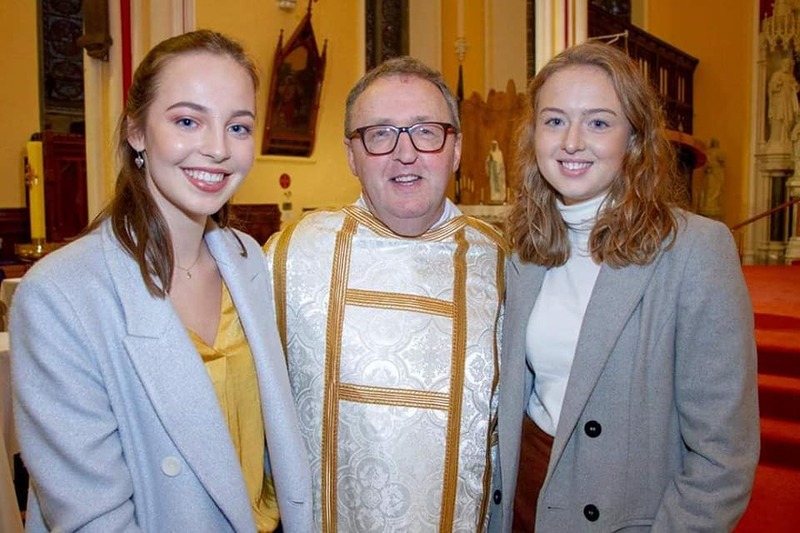 Main picture shows Rev Hugh with his wife Assumpta and daughter Lydia. Please see other photographs attached. Thanks for Rev Brendan Gallagher for sharing these pictures.